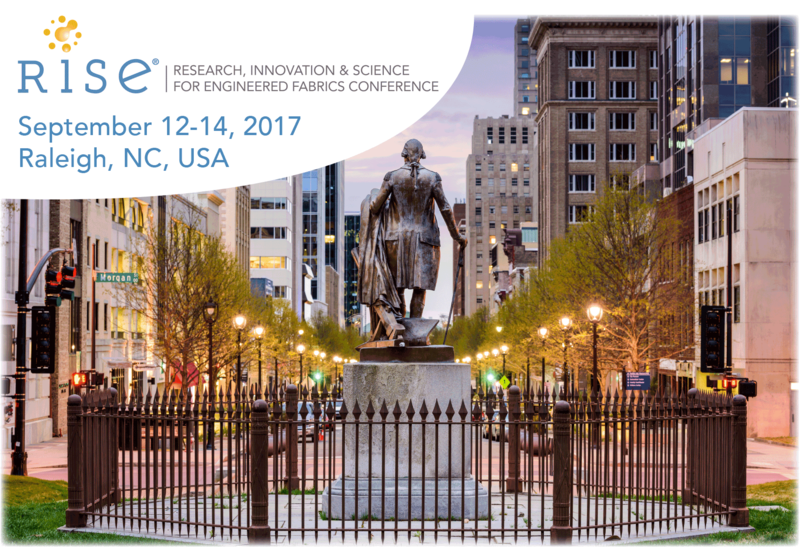 Cary, NC – September 27, 2016 – INDA, the Association of the Nonwoven Fabrics Industry has issued a call for papers for the seventh annual RISE® (Research, Innovation & Science for Engineered Fabrics) Conference to be held September 12-14, 2017, at the Sheraton Raleigh Hotel, Raleigh, North Carolina USA. RISE 2017 will feature two-and-a-half insightful days of game-changing, pioneering research and science. RISE 2016 explored futuristic technologies, concepts, and ideas that offered innovative solutions for current industry needs. The exceptional program content included making lighter weight, economic, and sustainable nonwovens from eucalyptus and milkweed materials; rebuilding fibers and fabrics with leading edge self-healing bio-formation structures; and discerning insights into disposable technology for advanced durable applications. “The RISE Conference continues to offer presentations on fascinating new technologies related to nonwovens that are on the cusp of commercialization. This is forward thinking, state-of-the-art research and science that you can’t find anywhere else. Participants time and time again have stated that the information and technologies presented at RISE directly relate to their current projects and offer proactive solutions to their biggest challenges,” said Dave Rousse, INDA President. Abstracts of approximately 300 words should be emailed to Deanna Lovell, dlovell@inda.org, by January 31, 2017. Include contact information and the relationship of the research to nonwovens or engineered fabrics. Authors will be notified of the abstract’s status within 30 days after confirmed receipt. For more information, visit inda.org. 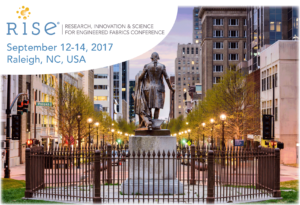 RISE Conference, September 12-14, 2017, Sheraton Raleigh Hotel, Raleigh, North Carolina USA.